Why do we leave them wet? 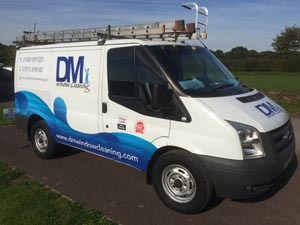 DM Window Cleaning are proud to be able to offer their clients a combination of bespoke window cleaning services, using both traditional and contemporary methods, supported by over 12 years business experience in the domestic and commercial cleaning industry. As a company, we pride ourselves on providing cleaning and maintenance services for over 500 regular clients, ranging from individual houses or apartments to entire complexes, blocks of flats, school and business premises. Our operatives are trained to City and Guilds level 2 standards are are up to date and working within the latest HSE guidelines. The company is fully insured (�10m public liability) and holds a membership with the Federation of Window Cleaners and is local authority aproved. Should you be looking for a reliable, competitively priced company that prides itself in providing quality and excellence in their services please to not hesitate to contact us to discuss your requirements.